I have cooked meat -usually fish- and vegetables in a salt crust before, but not like this. I saw this Colombian dish on Kenji’s Food Lab and it immediately caught my attention. It is too cool, too old and new at the same time and just plain wild. Christmas dinner seemed like an excellent occasion for this. 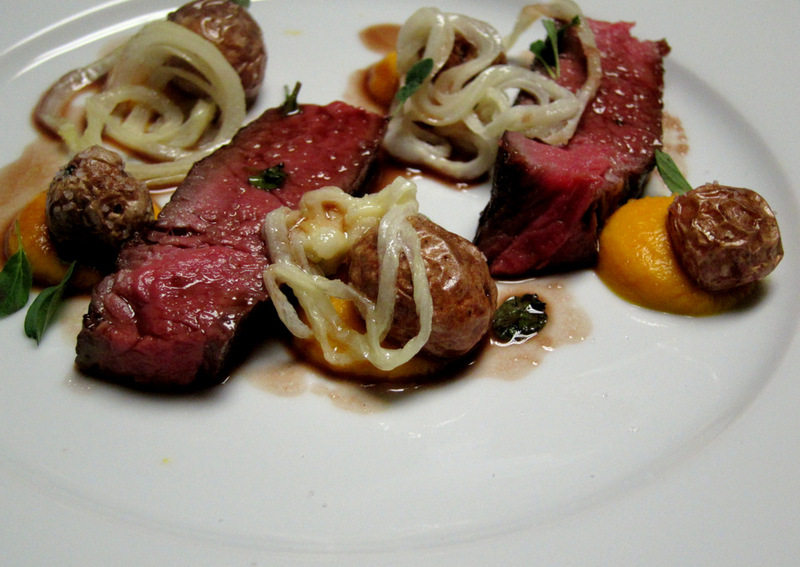 It is a luxurious cut of beef but also most of the attendees -Diana’s family- would be Colombian. So curious to try it out but not wanting to screw up Christmas eve dinner I made a trial run first to make sure. It was a good idea and made the second time I cooked it for a crowd much easier. The concept is pretty simple; wrap beef tenderloin in a salt crust encased in a towel (that’s the Trapo), throw it on a pile of hot coals until done, remove, crack the crust away, slice and enjoy. A few details are important to note though. The middle of the tenderloin is the best part to use here. I bought whole tenderloins and trimmed them myself. I managed to get three semi-even cylindrical pieces and the rest of the meat went in the freezer for other uses. To wrap each one, I laid a cotton kitchen towel and covered it with about 1/2 inch of kosher salt and a scattering of herbs (thyme, marjoram, rosemary). 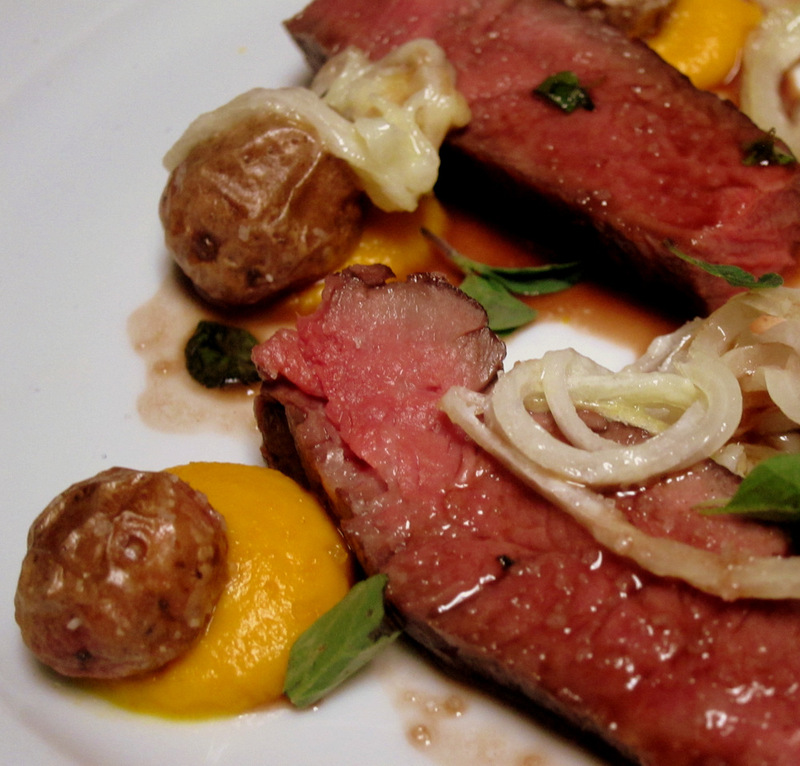 This carefully gets wrapped around the trimmed beef tenderloin. It’s a bit tricky to do and needs some practice to make sure the salt does not clump in one area or falls off the sides. A quick confident roll is key. I tied he rolls with twine and they were ready to go on the charcoal. When I say “on the charcoal” I literally mean that. Directly on hot fully ashed-up coals. It is impossible to tell how done the meat is in the salt cocoon. That salt gets hard very fast and that is what you want. 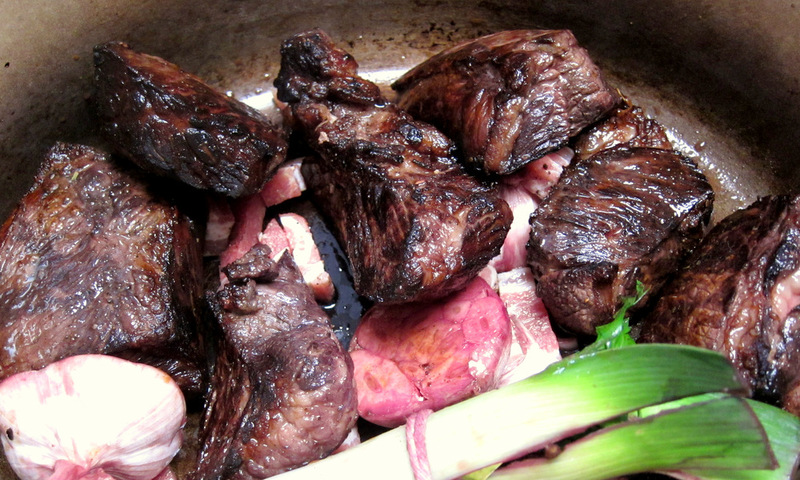 It just makes it tricky to figure out when the meat is rare and to account for carry-over cooking. So, of course you need to use a thermometer. After 10 minutes on one side, I flip the meat over and started taking the temperature. I over shot a bit the first time and the meat that came up beautiful off the coals, but a little overcooked by the time it was sliced. To get the nice medium-rare final serving temperature, you need to shoot for about 92 F when you take it off the grill. 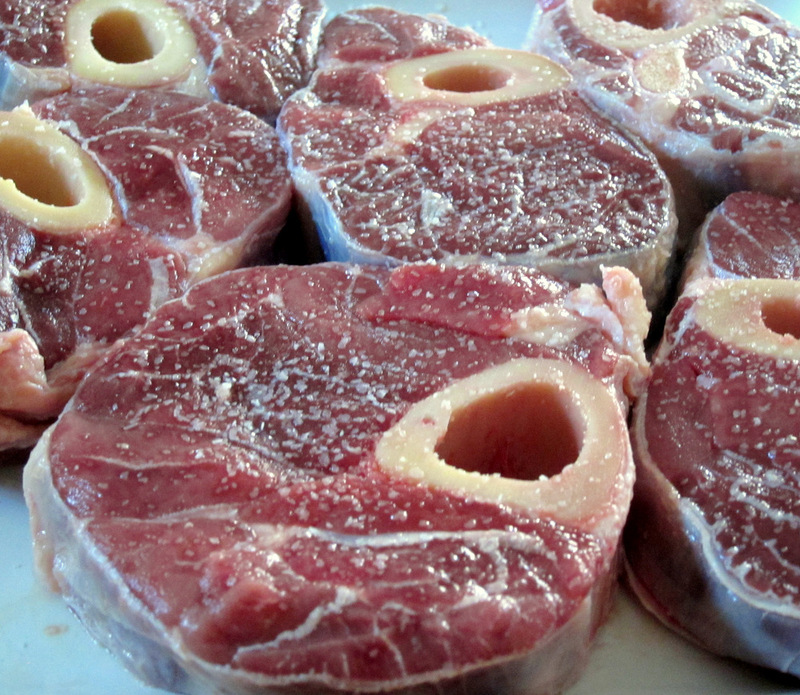 Let the meat rest until it reaches 125 – 130 F and crack the salt crust open. By now the towel is mostly burnt away and a few taps with the back of a knife is enough to reveal the amazing burnished and very savory beef. The smell is really phenomenal at this point and the whole spectacle is too much for any of the guests not to stand, stare and “oooh”. I served this very simply and triditionally with boiled salted marble potatoes and a sharp chimichurri sauce (parsley, oregano, garlic, olive oil, vinegar). The potatoes were boiled with lots of salt until the water evaporates and the salt remains. This was another recipe from Kenji (and also a traditional Colombian preparation) but they did turn out a bit too salty so they need some work. 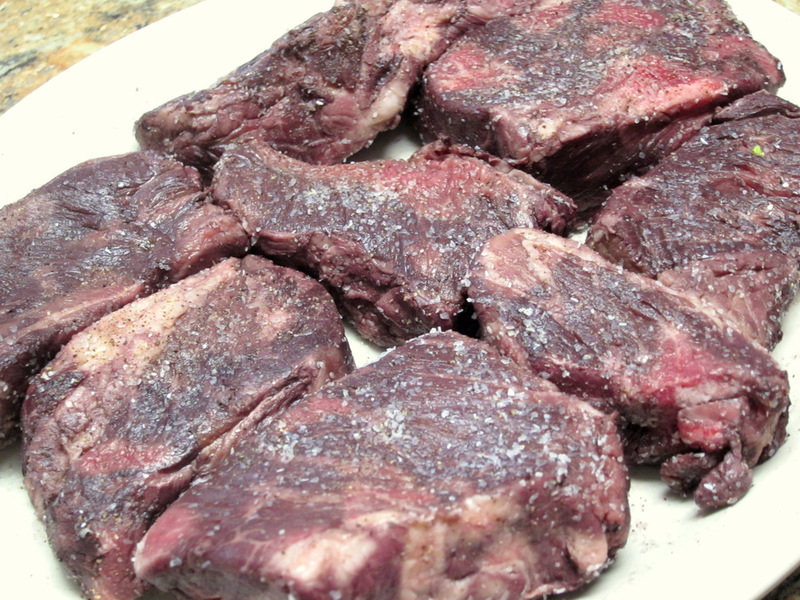 By contrast the salt encrusted beef was delicious, perfectly seasoned and perfectly cooked. It really is a show-stopper of a roast. British food is good. It could be great. To me, it is comforting, historic, classic and kind of cool in a way. Thankfully over the last few years chefs like Fergus Henderson, Heston Blumenthal, Marco Pierre White, Jamie Oliver and many others are making it a point to celebrate the classic food of Britain. In some cases chefs like Blumenthal are digging very deep (I have a post about that coming up soon) into the roots of historic English foods and modernizing them. That’s exactly what Chef Blumenthal is doing at his restaurant Dinner in London. 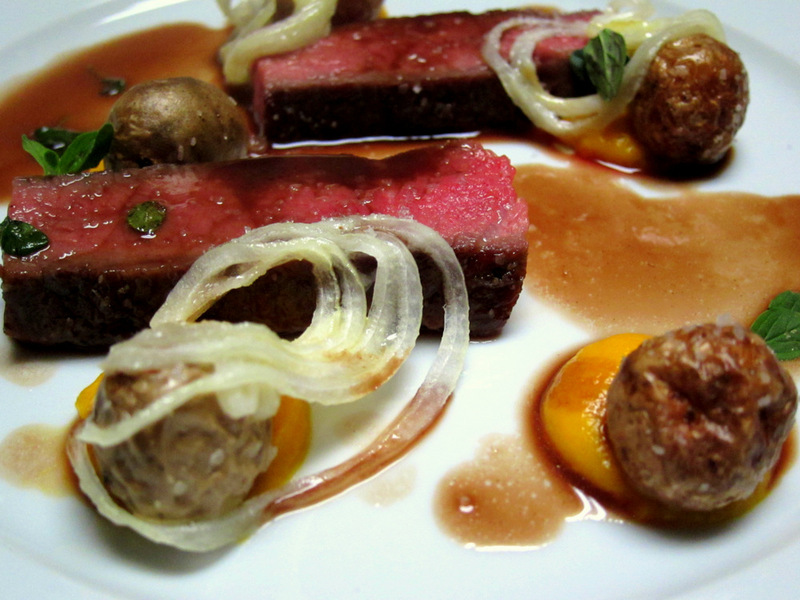 This post is not about modernist takes on British food though. When I think of British food something like this delicious comforting beef and Guinness pie come to mind. 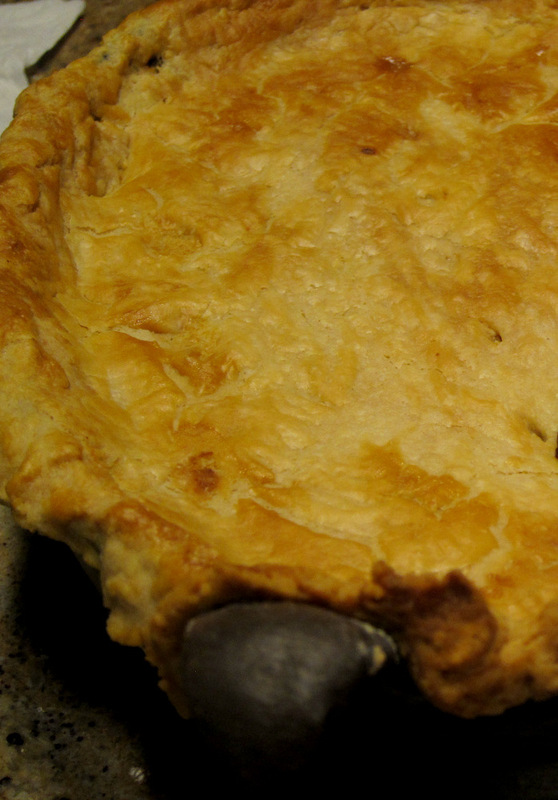 There’s a whole slew of meat-in-pastry type pies in this cuisine that range anywhere from crayfish to steak and kidney. 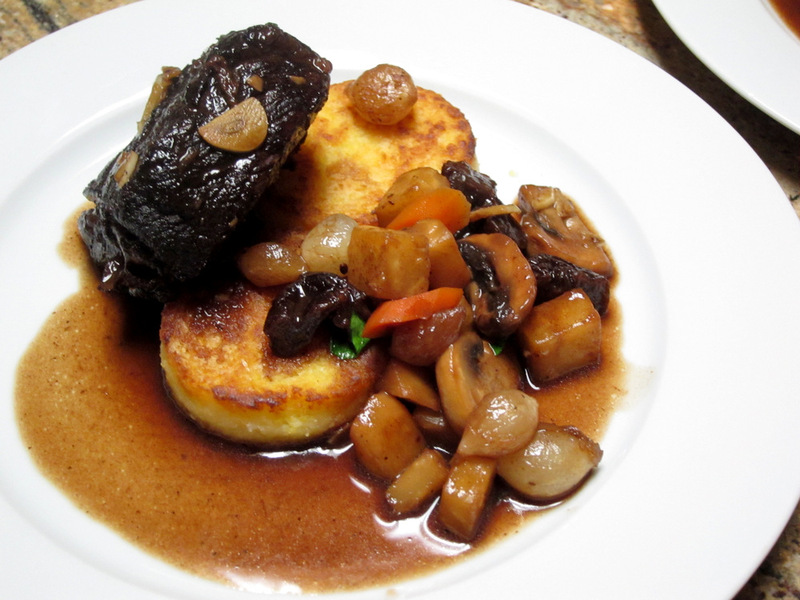 This particular recipe is from Jaime Oliver’s Great British Food. Oliver actually calls it “Will and Kate’s Steak and Guinness Pie” in honor of the royal wedding a few years back. 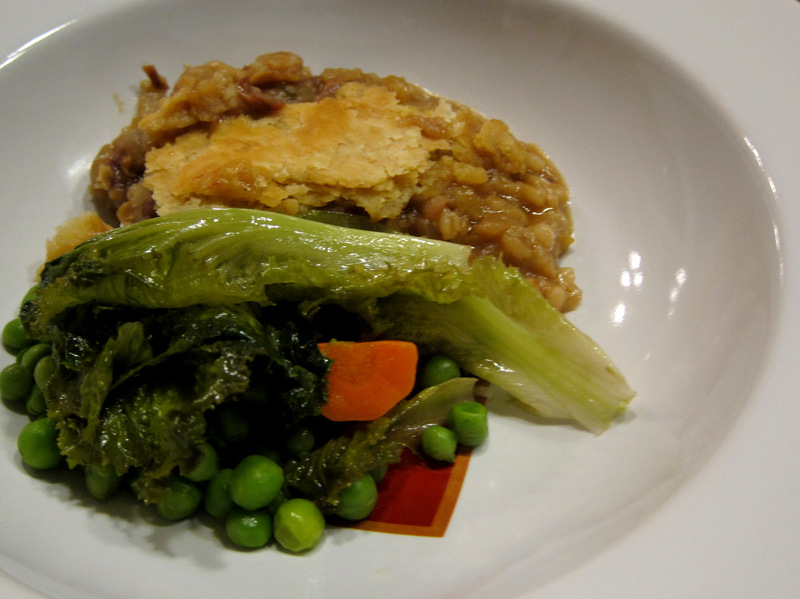 He puts a few twists on the recipe like including barley and cheddar cheese in the filling. That was part of the reason why chose to give his version a shot. 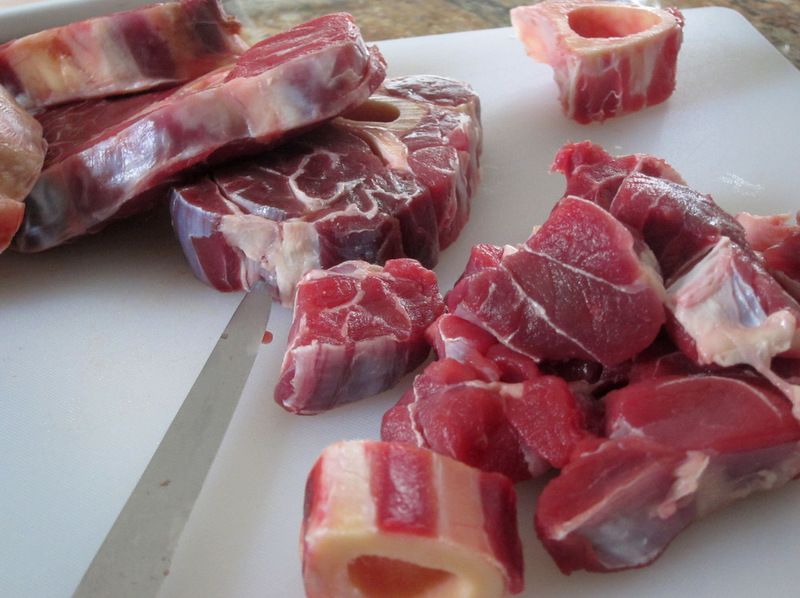 The beef shanks from Yonder Way Farms are one fantastic cut of beef. 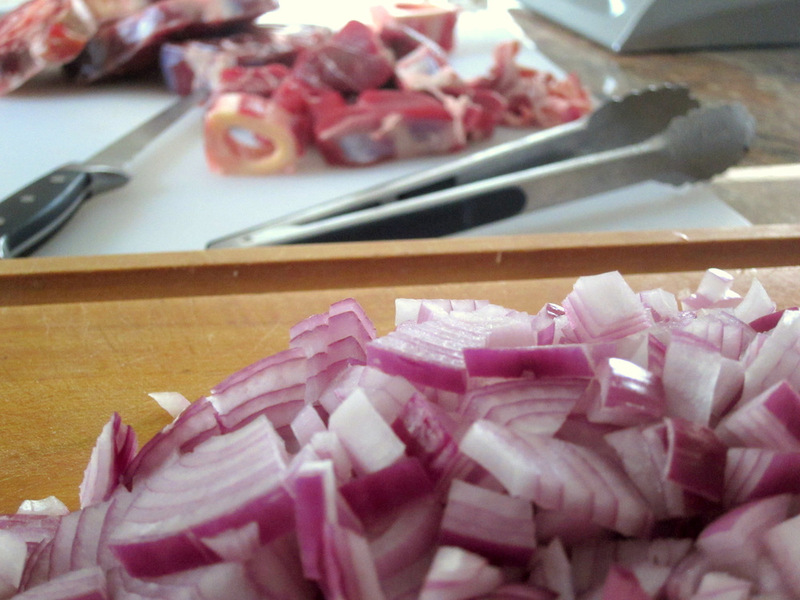 I use them for everything from beef stew to beans and even Osso Buco. 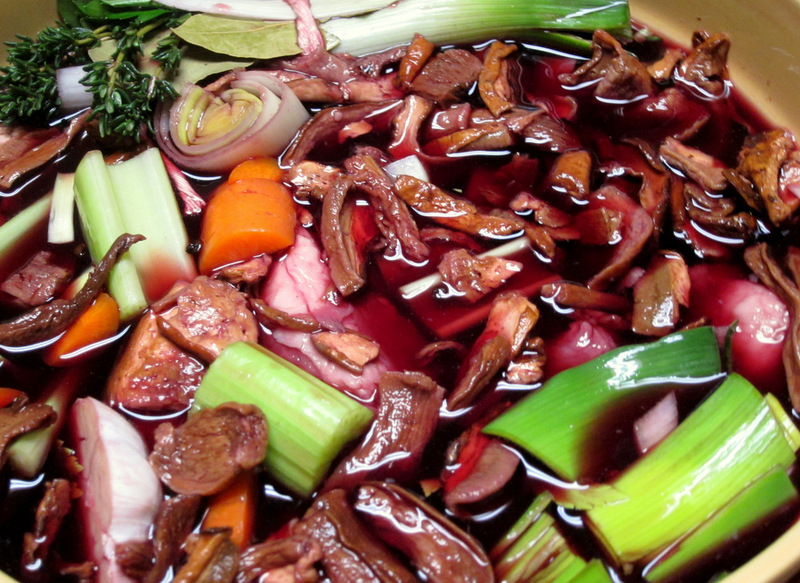 They are rich with a lot of flavor and lots of collagen that makes great braising liquids. More often than not, as I did here, I slip the marrow out of the bones and save it for another use. 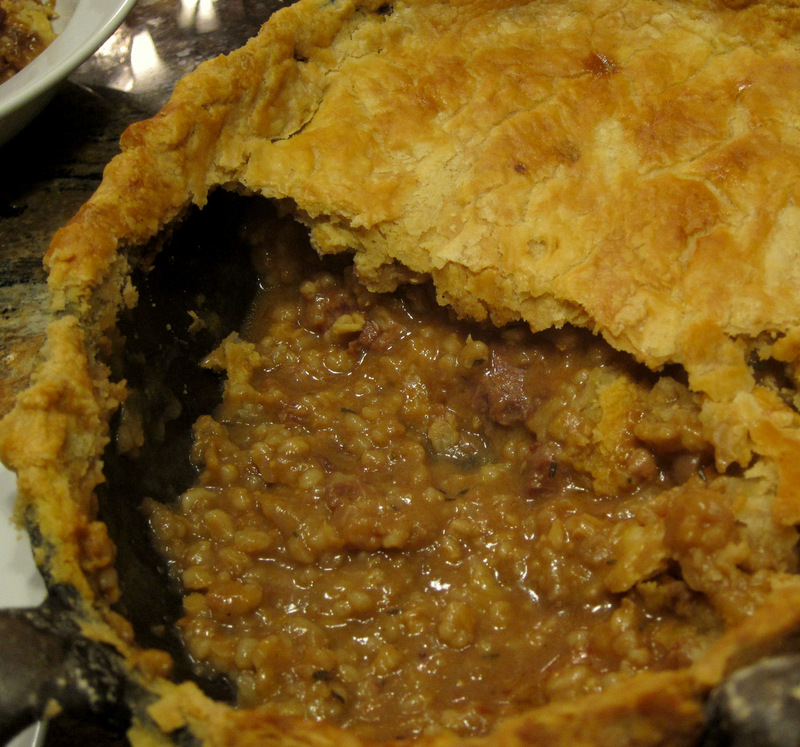 The filling of the pie is a stew with the beef, lots of red onions and some barley cooked in Guinness and beef stock. When the stew is done I added in shredded sharp cheddar cheese. This touch is very nice. It makes a savory stew even more so, adds creaminess and substance. While the stew cooked and cooled I made the pastry. The pastry is made very much like a pie or tart dough but instead of butter it uses suet. Suet is beef fat from around the kidneys. It is very firm and can actually be grated like butter or cheese. No one really sells suet in Houston and I did not want to pay for it online from some source (I might give that a shot at some point to see how different it is). What I do have is plenty of pork lard. So, the suet pastry became a rich pork lard short pastry. It was easy to work with and had a great flaky texture with a deep savory taste. 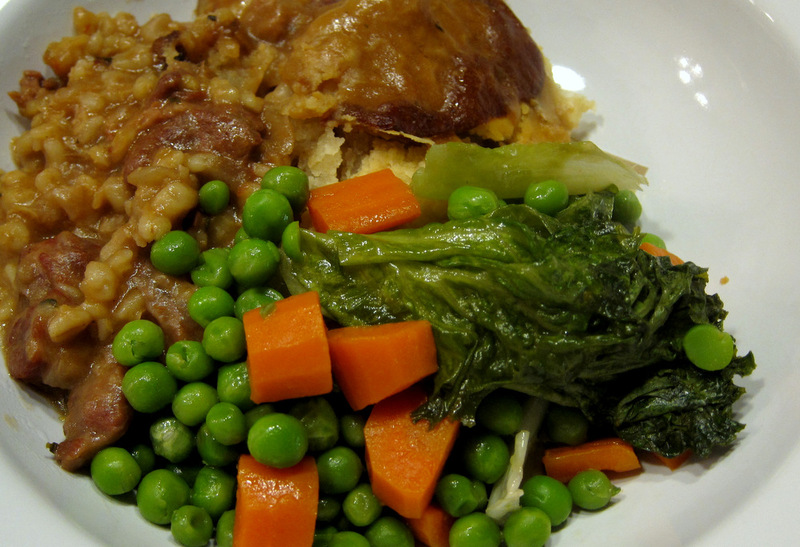 To serve it, what better and more British side to go with this pie than steamed veg? 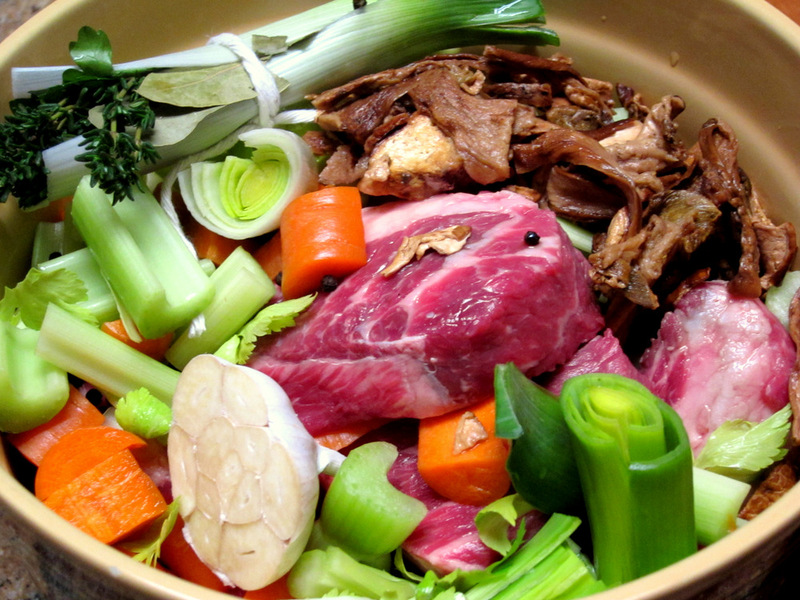 The key here is to put the vegetables in the steamer based on how fast or slow they cook. I steamed carrots with some peas and some Romain lettuce at the end. These got tossed with a bit of butter, a drizzle of vinegar and salt. 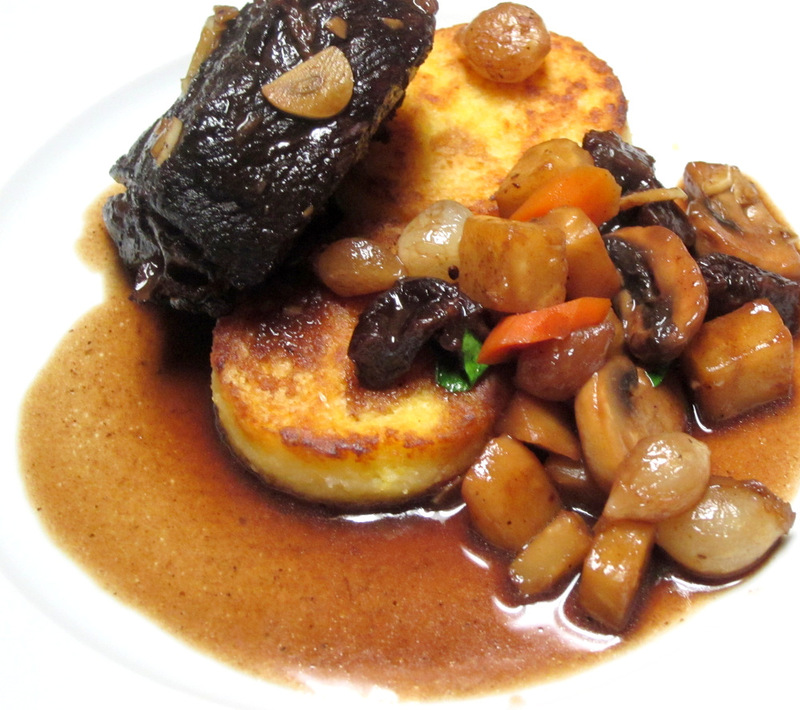 They were perfectly cooked with great texture and flavor, a perfect accompaniment to the rich beef and ale pie.